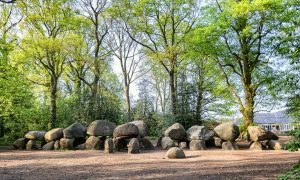 It’s the end of April and I am joining a blog tour along the route of megaliths, in north-west Europe. A question arises in my mind: why should a traveller prefer a tour among huge rocks scattered in green meadows, ancient woods and small rural villages, instead of a romantic week end in an European capital or a relaxing cruise in the Mediterranean Sea. The answer isn’t that obvious and it can’t be the same for everyone. Still, it’s in this answer that lies the future of ‘tourism’. And it’s with regards to this answer that the Council of Europe is working since 1987 promoting through EICR (European Institute of Cultural Routes) the cooperation among European countries in order to create and empower the Cultural Routes: cultural paths which allow to travel in time and space searching for cultural heritages shared by the different countries. One if this paths is the ‘Route of Megalithic Culture’ through Denmark, Germany, Holland and Sweden, developed by ‘Megalithic Routes’ since 2012. The megaliths – ‘big rocks’ in Greek language – are considered to be the most ancient token of architecture in Europe. The megalithic tombs, built during Stone Age between 5000 and 2000 BC are shattered through north-west Europe. The Route of Megalithic Culture aims to develop and promote sustainable tourism, not only for these ancient monuments but also for other historic testimonies and human activities in the surrounding areas, all connected to the same cultural environment. The tour was set by Bodo and Daniela from Megalithic Routes. Renate, Daniel, Denis and me –along with Elena from Council of Europe – are going to have our first stop in Borger, Holland, where the funerary monuments built around 3000 BC are called ‘hunebedden’ –giant tombs. 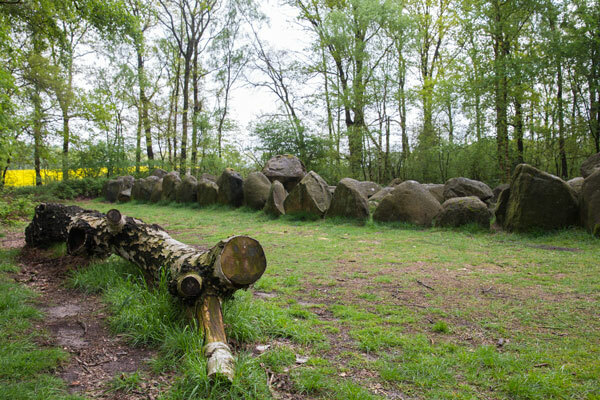 Here, through a path just outside the village, we find the biggest of the 54 megaliths discovered in Holland, hidden by the trees and about 23-metre long. It’s the first one I see in my life and it leaves me speechless. It’s a stone monster, lying sleepy among the trees. The makers were the first settlers of the Netherlands. Through a process which lasted for a millennium, they changed their habits from hunters to farmers and left as heritage potteries and megalithic tombstones. 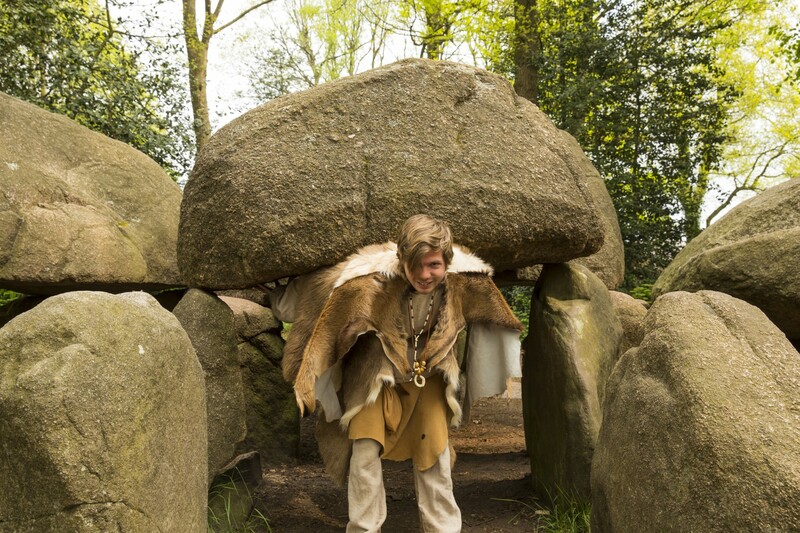 These dolmens may look just as a pile of rocks, but there is much more to it. They were built with great care, the entrance always oriented along the sun, in a site carefully selected and well prepared. The rocks too, were selected according to specific material and shape requirements, and they were moved through a clever system of logs and placed on the ground in order to carrie the stone used for the top. This way they created their eternal monuments. Behind this megalith lies the Hunebedcentrum, a fantastic museum where you can experience how life was 5000 years ago. 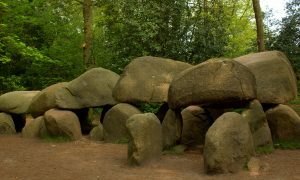 Guided by Mr Harrie Wolters and by Patrick, an amusing guy working as a “neolithic man”, we discover mote ancient tombs, the most romantic one close to an area where couples use to have picnics and carve their names on a tree overlooking the megalith. It’s time to move towards Germany. 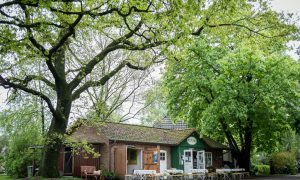 In the Emsland we visit a wonderful hunter house, in Clemenswerth, close to Sögel, and here we spend the night. The next day is devoted to the Landesmuseum Natur und Mensch in Oldenburg, led by two special guides: Mr Peter-René Becker, the museum’s director, and Mr Henning Haßmann, Low Saxony Archeology Department’s chief. From here we follow the ‘Megalithic Culture Bicycle Route’: under heavy rain, twenty brave bikers inaugurate the bicycle route among megalithic monuments which takes place, the same day, also in Borger-Netherlands, in Odsherred and in the Island of Møn-Denmark, and in Falköping-Sweden. We follow them by car until Melkhus Bergedorf, a stunning farm hosted in an ancient cloister, and in the company of cows, horses and blossomed trees we recharge ourselves with fresh yogurt. 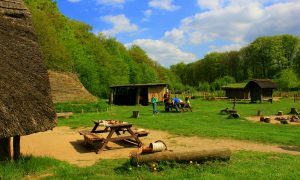 Then before night we stop at the nature park Wildeshausen Geest, where lie several “Hunebetten”, considered the biggest surviving burials from the Funnel Beaker culture. Our tour ends on Monday in the county of Dithmarschen, after an interesting visit to Pestruper Graberfeld where lie more than 500 burials from the Bronze Age and some of us get inspired to exercise their yoga. In Albersdorf, Mr Rüdiger Kelm, Director of the Museum in Albersdorf, leads us to the ‘Stone Age Park Dithmarschen’, also under his direction. 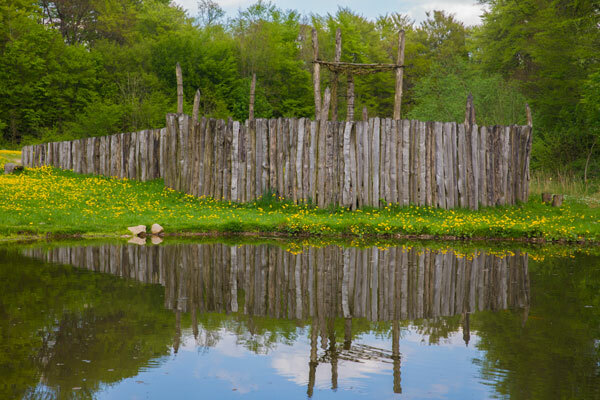 The sight is fascinating, a detailed representation of a 5000 year old landscape in an 80-acre Neolithic area, including green meadows and wooden huts. But the most beautiful part was seeing a bunch of kids taking part at the centre’s educational activities. Here culture mostly means education, sharing values, learning to live with the basics, respecting the nature. After dinner we go for spend a visit to the popular megalith Brutkamp, whose central stone is among the biggest known megaliths. Being here at night is a touching experience, the trees surround us and the stars look on us from the sky, the quietness fills the air. It’s just us and the megalith, he is over 5000 years old, the head weighs about 23 tons, and we feel useless at his mercy. But an invisible link connects us with him, and we feel kind of eternal too. 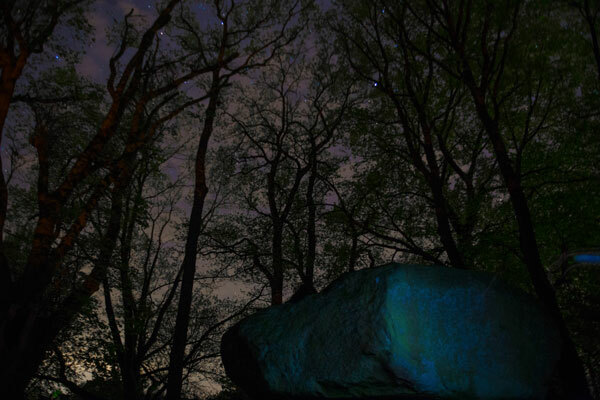 They say if you light six candles around the megalith you will rise demons and fairies to dance with you. Unfortunately – or luckily? – nothing happens this night. What really arose during this tour is the pleasure to discover the past, to taste its magnificence and protect its heritage. We meet some very special people, like Daniela and Bodo, who spend their huge passion to research and share the marks history left for us. 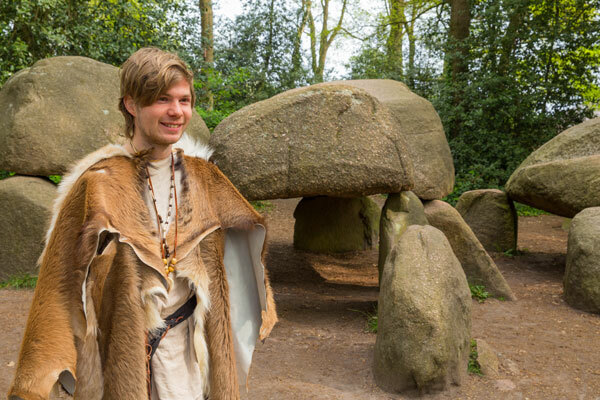 Our landscapes is filled with our history mad the Megalithic Routes – as well as all other Cultural Routes – highlight the importance of encouraging visitors and locals to watch over the land with new eyes. Everything in our landscapes is part of a cultural route, part of a journey of through our memory and our senses, a journey to discover what events made those landscapes what they are now.